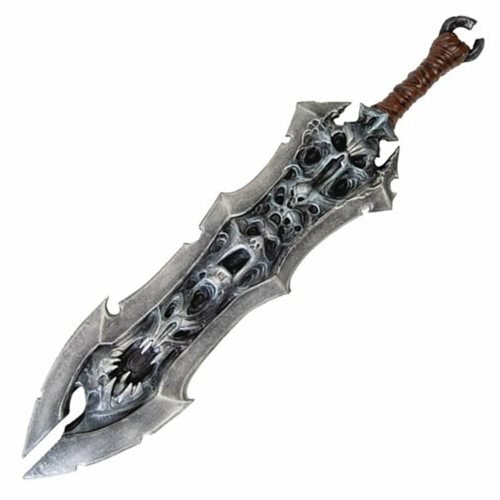 This beautiful and high quality replica of War's sword Chaoseater from the video game hit Darksiders is about 45-inches in length and is made of durable polyurethane foam. The blade leaves no detail unnoticed and shows even the smallest notches and scratches from War's extensive battles against his enemies. Even the hilt has been painstakingly modeled and gives the wielder the feeling of holding a true source of power in his hands. Perfectly suited for your next LARP or cosplaying convention.